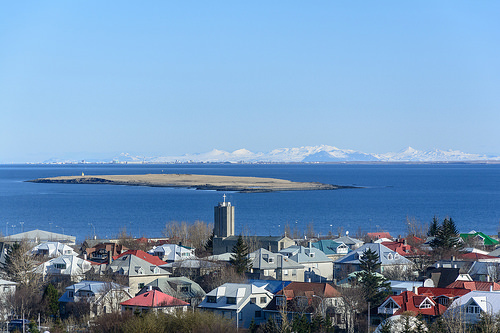 If you travel light, this is a good fare for nonstop service to Reykjavik. Depending on dates, prices may slightly vary. 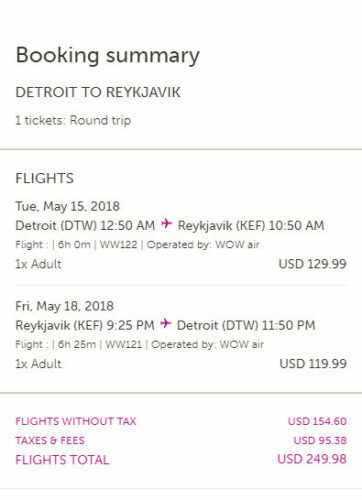 Please note that WOW Air is a low cost airline and will charge for everything from seats to luggage to drinks on board. We recommend prepaying for luggage as WOW Air only allows a small carry-on that must fit under the seat and weighs under 22 lbs. If you plan to bring anything more than a small carry-on, we recommend prepaying for luggage before check-in. The baggage fee for a carry-on (up to 26 lbs) starts at $50 while the baggage fee for a check-in bag (up to 44 lbs) starts at $70. If you check bags during check-in, the fee will be $20 more each way per bag. WOW Air will weigh all bags at check-in. Valid for travel from mid-May 2018 – mid-June 2018. Use the flexible date calendar on WOW Air to search for availability.